I am so thrilled that Eliza Henry Jones, author of In the quiet and Ache agreed to be interviewed for my blog. In the quiet was one of my favourite books in 2015 and Ache is one of my favourites for 2017. I chose Ache for my bookclub to read this year, even though I hadn’t read it, because I knew it would make for a great discussion. Eliza’s books are made up of small moments of grief and tenderness, and her characters ring true. 1. Tell us about your book, Ache. What is the story about? What lead you to write it? Ache is about a family dealing with the aftermath of a devastating bushfire. It’s an exploration of four generations of women and the different ways they cope and relate to each other. It’s also about their relationship to the landscape – which was influenced strongly by my home. 2. Are you a plotter (someone who plans out their book in detail before writing) or a pantser (someone with a vague idea who will figure out their book during the process of writing it)? I have nothing but deep respect and envy for plotters, but I am 100% a pantser. 3. Writers are told to increase the stakes and the tension. As well as the big, dramatic moments, your books have small, gentle scenes, which reveal a lot about your characters, but might not necessarily be a ‘big’ moment. How do you write the small moments and weave them together? I think the small moments are my favourite part of writing a story. My favourite stories as a reader are the ones that have lots of little moments – lots of little arcs and threads, which get pulled together at the end (sometimes neatly, sometimes not). I think the small moments are what makes a story breathe and I try to create that in my own writing. 4. What do you do when you’re stuck, and you’re not sure of the next scene to write or how to polish a scene that’s not working? I don’t force it. I’ll let it sit for a few days. There’s always something else to be getting on with, whether it’s another manuscript, an article or sending off pitches. If I’m on a tight deadline, I’ll just keep doggedly putting words down on a page (even if they’re awful) hoping that things will crystallise that way, but I find it takes a lot more energy and I end up resentful. Better to let things rest, if I can. It’s amazing what comes to you when you step away for even a short space of time. 5. Your books have so much emotion, like grief and anger, in them. How do you bring those emotions to the page? This is so tricky to answer! I suppose writing has always been a big part of how I understand and regulate emotions – writing about things that have scared me or upset me or intrigued me. I think studying psychology and grief and trauma counselling and working with clients in a clinical setting has also helped me to consider emotions from different angles. 6. How do you revise your work? Do you go through scene by scene? Or do you go through the whole manuscript, focusing on different aspects like setting, dialogue or tension? I go through the whole manuscript and delete big chunks that I’m not happy with and mark places that need work with an ampersand and work my way through again. I have to just dive in completely – I find it too difficult to compartmentalise. 7. What comes first for you, character or plot? Or are they too entwined to separate? In the quiet came to me in the form of Cate’s very strong voice – watching her family after she’d died – as well as the opening scene of Jessa sitting on the verandah. Ache came to me as I sat in the middle of a presentation on transgenerational bushfire trauma at an international trauma informed practice conference. And my latest, P is for Pearl, came to me after seeing a news report about a helicopter just being missed by a missile. Even though there are absolutely no helicopters or missiles in the story, that’s what sparked the idea. It’s strange what can trigger a story and how that story then takes shape! 8. How did you write the two timelines in Ache? Did you write them together, or did you work on them separately? I wrote them together as I went along, which is what I have done with my other novels, too. I really enjoy back-story – both as a writer and a reader. 9. What’s a typical day like for you? This is a tricky question! Some days I’ll write for sixteen hours straight and other days I’ll only write for two hours and spend the rest of the day doing admin and working on the farm (we grow most of our own food and are hoping to branch out into low scale commercial farming over the next little while). I often have other writerly work going on outside my novels, which may be preparing for a workshop or a class I’m running, a panel I’m on, judging a short story competition or pitching or writing freelance articles. 10. Are you working on another book now? We hope so! Can you tell us a little about what you’re working on now? My next book will be out in March! It’s a young adult novel set in an isolated coastal town of Tasmania and, like Ache and In the quiet, it deals with family, grief and the landscape. It’s actually a story I originally wrote when I was sixteen – it’s pretty spectacular to see it becoming an actual BOOK well over a decade later! Thank you so much, Eliza, for answering my questions. I’m really looking forward to reading P is for Pearl next March! I am reading this at the moment! Planning to do a review along with some other Aussie fiction – The Museum of Modern Love and The Choke. Stay tuned! I love your reviews, Carolyn! I have The museum of modern love’ on my bedside table, and ‘The choke’ on my wishlist. I’m really looking forward to reading Ache now! Sounds like a great book. Great interview Karen. Thanks, Renee, I think you’ll really enjoy it! I can’t wait for our next book group and to discuss the Ache. 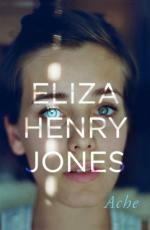 I loved reading your interview with Eliza Henry Jones. Thanks, Angela – I’m looking forward to our book club meeting, too! Thanks for interview Karen. I have had my eye on this book for some time. My bookclub is not rejoining library next year but reading member’s choices. I will be putting “Ache” forward for consideration at our next meeting. Your interviews and reviews will influence our reading list. Thanks, Terri – ‘Ache’ is such a great choice for a bookclub. Your interview reminded me of something I was told years ago that asking questions is one of the best things we can do. It is a skill we seem to lose after childhood when seeking information is simply the norm. The second part of the advice is probably more important – we should not just listen to the answers but try our best to understand everything about them. You seem to have both skills. Thanks, David – I think asking questions leads to some of the best conversations.